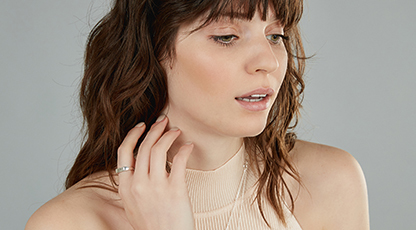 The Luna Collection is curated with updated essentials that are meant to be worn all day and night. Inspired by classic silhouettes and updated with modern details. The versatile nature of the pieces gives you the ability to layer ans stack with ease to curate your personal style. The necklace you never take off. The Luna Collection is all about modern ease. Our Luna pendant necklaces are a true representation of that. Versatile and personal; designed to be your signature necklace. 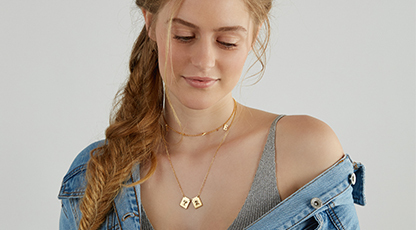 Whatever trends and events come your way, these pendant necklaces will be right there with you. 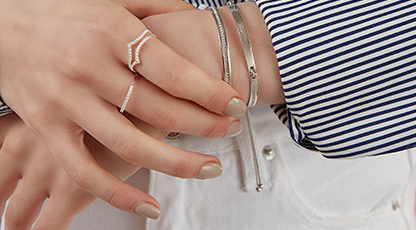 Our favorite “borrowed from the boys” jewelry. 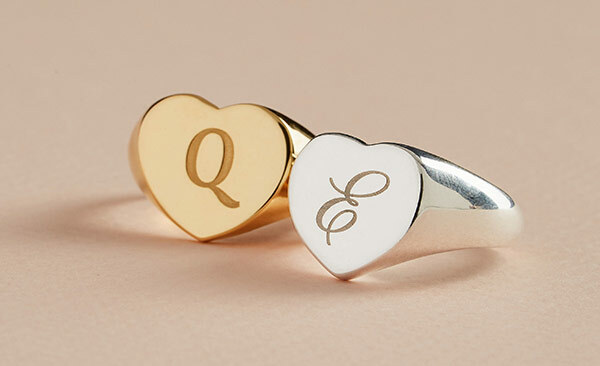 Historically, signet rings were passed down through families marked with a family crest. They were typically worn on the pinky fingers of male heirs to signify family prestige. 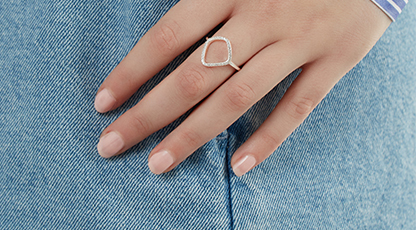 We loved the simple shape and personalization of these rings, however, we wanted to modernize it a bit. Within the Luna Collection, you can find our reinterpretations of the classic signet ring. 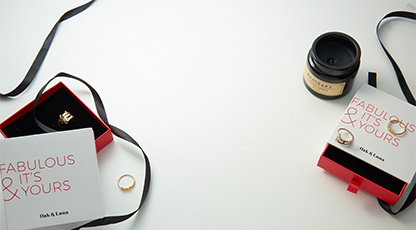 To add your own marking on the ring, you can customize each ring with your own seal of significance. As a huge part of your signature style, your jewelry should reflect you. We invite you to add your personal touch. We offer engraving on most pieces in the collection. 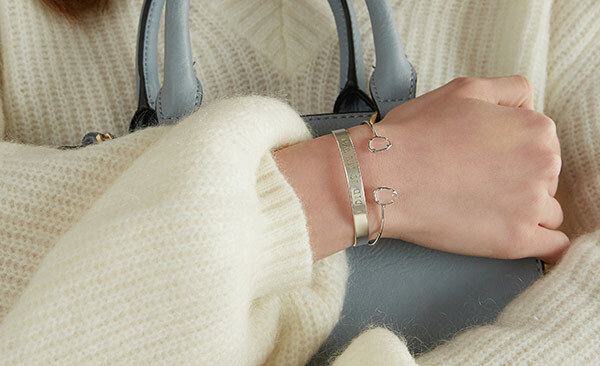 As with all Oak & Luna jewelry, the Luna Collection is crafted from sterling silver. Most pieces are additionally available with gold and rose gold plating.